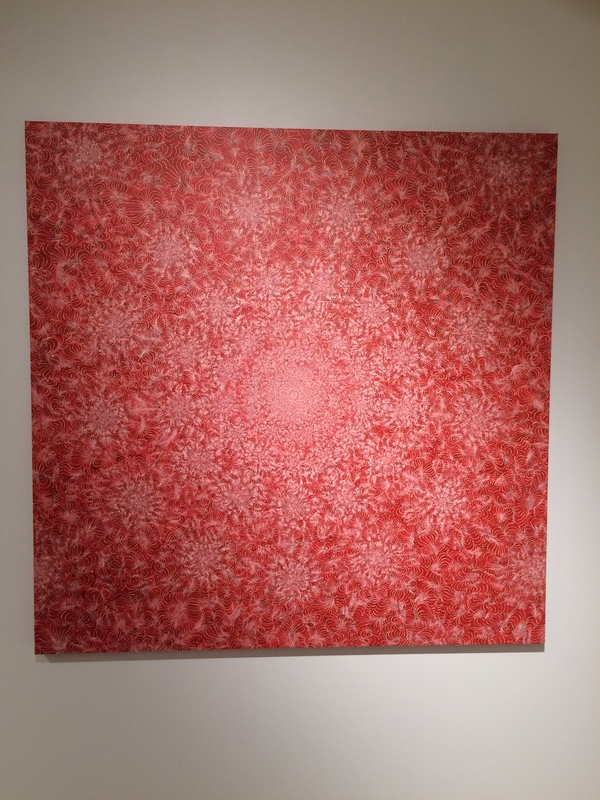 Kelsey Brookes current solo exhibition at the Jacob Lewis gallery is titled ” The Mathematics Underlying Art”. 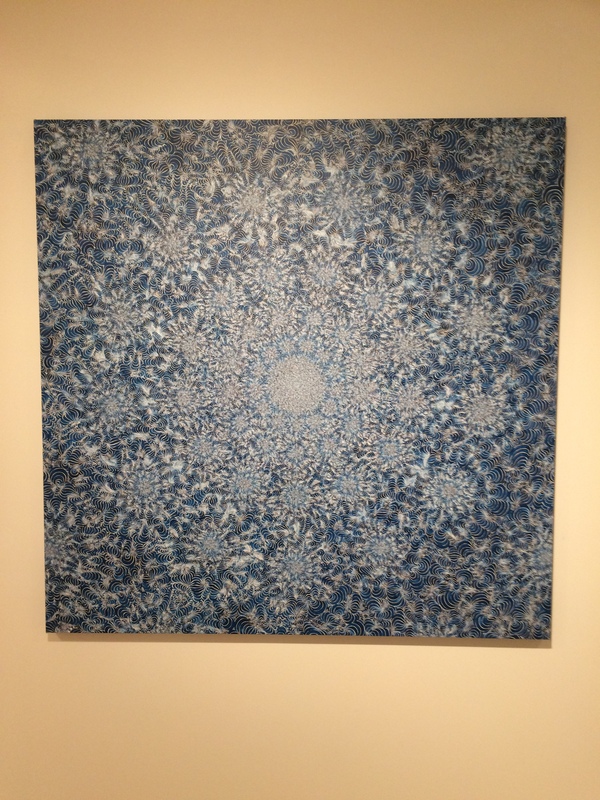 I was so happy to see that the Fibonacci Sequence is a major theme for these large scale paintings. Each square canvas is divided into thirteen (13 is a Fibonacci Number) wedges radiating from the center point. Then dots are made along each dividing line at intervals that correspond to the Fibonacci Sequence. An intricate concentric pattern is painted around each dot, filling the surface. 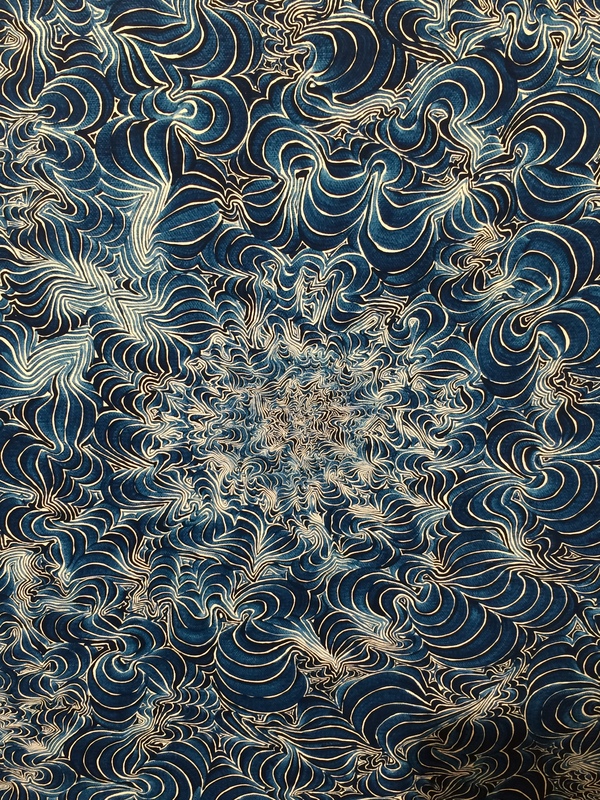 The waves and undulations in this detailed work allude to the fact that Brookes is also microbiologist. There are two sets of systems at work in this series. There is the overall predetermined structure, which features order 13 rotational symmetry and the uses the Fibonacci Sequence and the Golden Ratio to place each circle. Within this architecture,when you look more closely at the paintings you see the freer, expressive style . The mathematical structure creates a sense of order to contain the movement of the patterns.